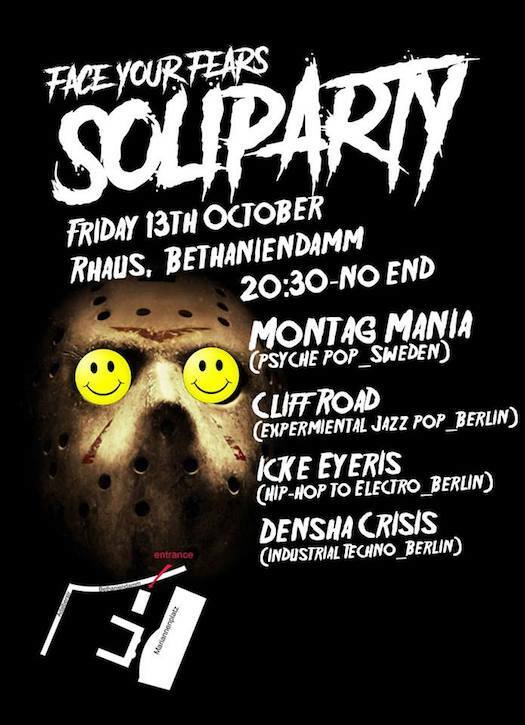 Montag Mania show at Nhow Music night Berlin 3 March Friedrich-shain. Come and join! Montag Mania concert at Melodybox New Years eve. 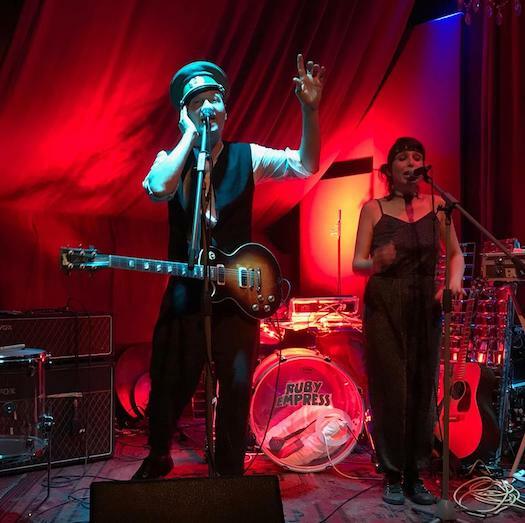 "Montag Mania, a dreamy pop duo" "transporting the crowd to another, trippy world" the whole performance felt higher than the average high and a real delight for hearts and souls." Basement Bash at Marie Antoinette the 29 September in Berlin. Line up: Daremo, Montag Mania, Ruby Empress. HÖSTPREMIÄR FÖR "THE WORLD IS MY OYSTER" MED MONTAG MANIA LIVE TISDAG 12 SEPT KL 21.00. Exklusiv spelning med Montag Mania i Stockholm innan de åker tillbaks till Berlin. Missa inte er chans att bli bland de första lyckliga att få höra nya låtar från kommande album i en osalig blandning. Allt detta och lite till på `Musslan´ Dalagatan 46, fri entré. Montag Manias första spelning på länge i Stockholm direkt hemkomna från DDR. Missa inte er chans att bli de första lyckliga att få höra gamla o nya låtar från kommande album i en osalig blandning innan bandet på ett miljömässigt sätt åker tillbaks med tåg, buss och båt tillbaks till Berlin. Vi utlovar dans, psykadelia, visuals, och eufori i en totalt hypefri miljö för alla hypade och ohypade. New Montag Mania song out ! EgoTopia is the result of intense writing sessions in Berlin, recording sessions first at the Nutopia home studio with the three of us doing everything from vocals, guitars, beats and random sounds and Juan trying out different percussion grooves. Then we went into Trixx Studios in Berlin with the producers Pete Smith and Fabio Buemi recording drums and bass with Magnus Schröter and Raffael Brunner. EgoTopia is about what you see when you look around. Some cut up fragmentary phrases describing a place where the over-fed wealthy 1 % own 50 % of the worlds wealth and still get tax reductions while people are living in poverty. The new walls that are built so closely after the Berlin Wall came down. But if you look closer you also see something else. The tolerant humanistic vibe going through the underground subterranean movement. And you realize that another world is possible. This is not the way the world is made. It´s about the way we create the world. It´s about transforming negativity into something up-lifting, full of hope. & you can even dance to it ! Deep interview with Montag Mania on the Berlin Bristol based music blog Ðash Majesty. Isabel and Fredrik reveals their deepest secrets about Montag Mania, work- flow, creativity, life in Berlin vs Stockholm. 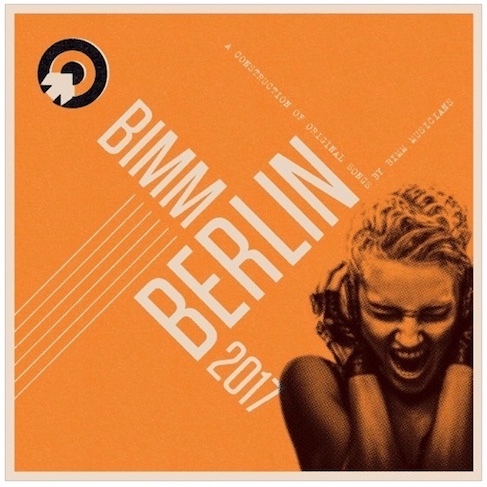 Montag Mania listed among "Berlin´s best experimental artists" at the Bimm blog. We are lucky to be recording songs to the upcoming album in one of Berlins most creative studios Trixx Studios together with the producer Pete Smith and Fabio (Howling Fab). Follow us here or on facbook to follow up the recordings for Montag Mania. Three warm, eccentric shows embracing the global vibe. At Hangar 49 the 12 november ! Don´t miss these three most unrevealed secrets ! 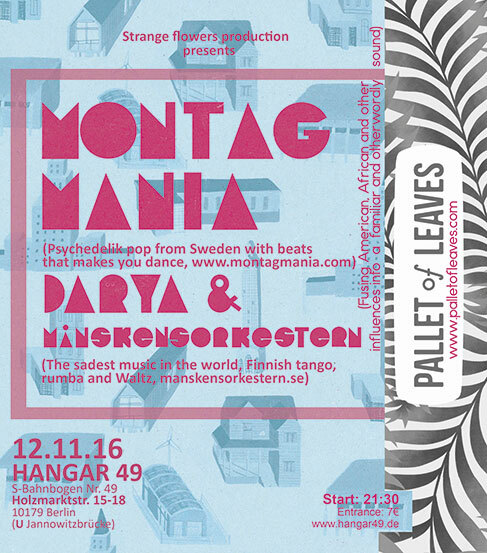 Montag Mania Pallet of Leaves and Darya & Månskensorkestern. Montag Mania are proud to present their next show at Achtung Studio at Kunstquartier Bethanien in Berlin to celebrate the 5th anniversary of the studio and the wonderful work that are going on down there in the top-secret Keller. Paintings, Drawings, Sculptures. Silksreens, Comics, Monsters, Costumes, Literature, Music and Visuals with Helene Berg, fresh drinks and snacks and more… Don’t miss ! We are happy to present that now it is confirmed that Montag Mania are going to play at Berlins City Festival "48 Stunden Neukölln" the 25/6 ! 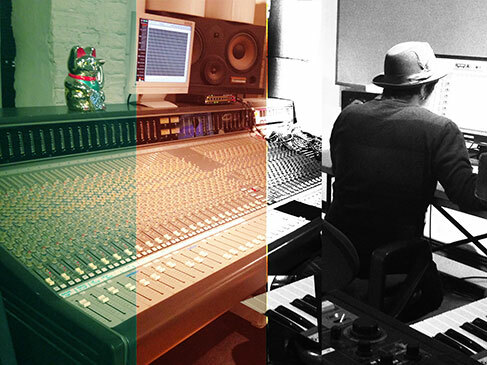 Join the festival Here: "48 Stunden Neükölln"
After recording the Percussions with Juan in Stockholm Montag Mania are now recording "Modern Hero" at Trixx studio, Berlin, with legendary Pete Smith and Howlin Fab, Raffael Brunner (drums), Magnus Schroeter (bass) and Lisa Wadham. See more pics from session at facebook. Montag Mania show at Donau 115, Berlin, Sunday 22 November ! 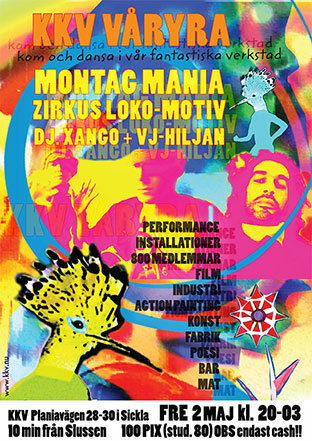 Montag Mania does a tropicalistic acoustic show at the Neukölln club Donau 115, now on Sunday. Portuguese food, music and good vibes. Montag Mania at Tropical Birds Party, Kägelbanan - Södra Teatern. Join us at facebook ! Montag Mania will perform soon! Saturday 25 july at Hageboop, Gotland! The festival of the year with short short movies, performance and plenty of space for tents and caravans. Meanwhile, check out this live shot from the Montag Mania show at Kägelbanan, Stockholm. Montag Mania är ute och spelar igen! Zirkus Loko-Motiv anordnar galna Guldkottegalan mitt i Gotländska idyllen med kortkorta filmer o skräcktema bland blommor och bin. Säkert också lite performance. Montags Hiljan Bart gör så klart elektromagnetiska visuals! Datum 25/7. 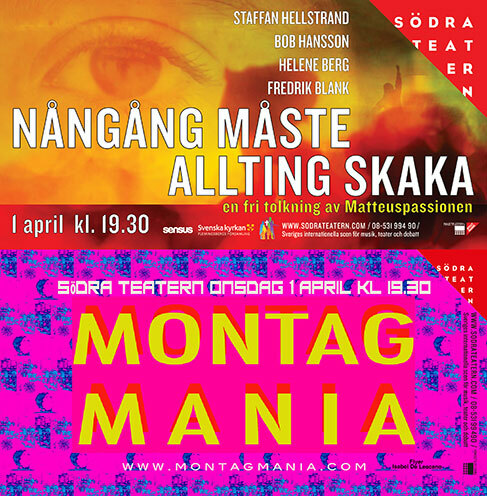 Montag Mania is proud to present Montag Mania and `Nångång Måste allting Skaka´ at Södra Teatern 1 april. We´ll take a little breake from writing new music for our new album to step up on stage again, in Stockholm for the first time since our Berlin- exile. So why not step over to Södra Teatern for an experience with the best of two worlds. `Montag Mania´ Tropcial Birds show - dans, urban, Visuals. `Nångång måste allting skaka - music, poetry, videoart with Staffan Hellstrand, Bob Hansson, Helene Berg and Fredrik Blank. Montag Mania are writing their third album and will be gone for a while in a dark and bright tunnel, in between the snow and nowhere. Some exklusive shows can be coming up. To get the latest news and to follow the band, like Montag Mania at facebok! Montag Mania are happy to present an acoustic show at the popular and cozy Café Provinz in Berlin. Come and take your time enter another space and experience a musical journey, some lucky mistakes, some magic, euphoric moments. support act will be Michael Brinkworth. A lot of great reviews for the dance performance `Om en person´ See review in Dagens Nyheter, Svenska Dagbladet and now also at `nummer.se´. The dance performance `Om en person´ did get great reviews in Dagens Nyheter and Svenska Dagbladet. The performance lasts until 13 december at Zebra Dans. Don´t miss it! 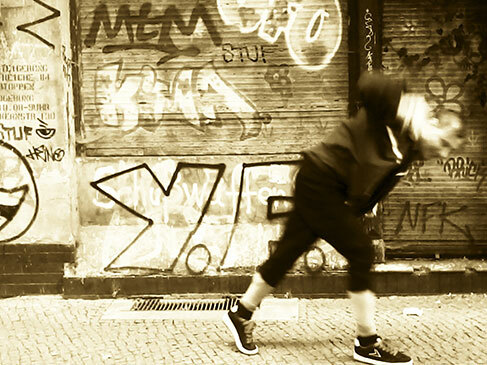 Saturday 15th November there´s premiere for the dance performance OM EN PERSON (About A Person) at Zebra Dans, Stockholm. The project is a collaboration between Montag Mania, the choreographer Ossi NIskala, the video artist Helen Berg and the dancers Sanna Söderholm and Sanna Blennow. Montag Mania composed the music to the performance. The performance is philosophic and exploring, mixing dance, color-experiment, music and film to awake questions about what shapes us as human beings. The tour continues further into year 2015. Montag Mania records new album in Berlin. 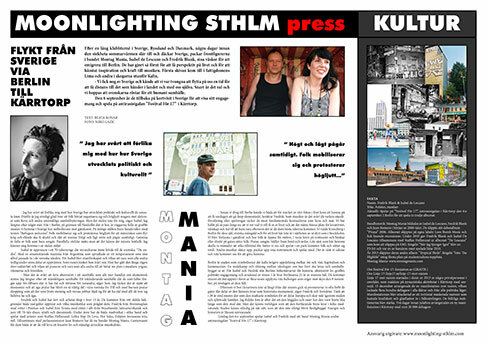 After touring around in S:t Petersburg, Denmark and Sweden, Montag Mania headlined the big antiracist manifestation `Festival för 17´ in Kärrtorp, Stockholm, together with bands like Yakumbé, Stefan Sundström, Teddybears. Now Montag Mania is stationed in Berlin making a new album. 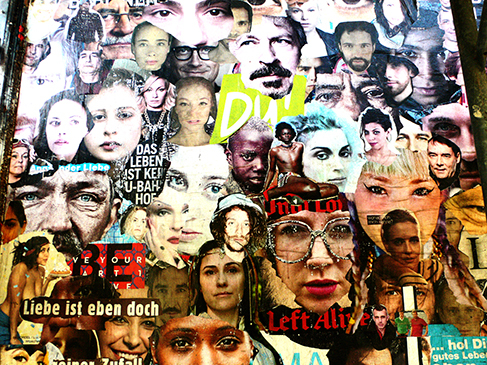 Like Montag Mania at facebook for recieving updated information about shows in Berlin! Montag Mania at Institute for Cultural Diplomacy that celebrated the German-Scandinavian Day in Berlin ! Montag Mania is playing at Berlin music weeks "First we take the streets". Come and see us at spot 7 ! in Friedrichshain. Montag Mania åker till Stockholm från Berlin för att avsluta årets `Festival För 17´ i Kärrtorp med fullt band och VJ. 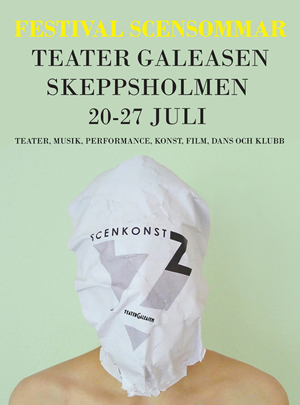 Det blir fest, musik, workshops, barnkultur och tropiskt väder. Entré: 0 kr. Montag Mania rehearsing new song "Speech of silence"
Montag Mania are happy to present Tropical Birds show in Berlin tuesday 29/7 at Institute For Cultural Diplomacy. Fredag den 25 juli lämnar Fredrik & Isabel inpelnings-sessionerna i det stek-heta, åskande Berlin för att möta upp Juan på grymma Kafé Rotundan i Halmstad där Montag Mania gör sitt livs första Halland-spelning! Kom till kanske en av årets sista spelningar innan vi åker tillbaks till Neukölln ! Montag Mania plays two shows in Skåne, Sweden, before moving to Berlin for a period of time, starting the recordings for the third album! 13 June: Far i Hatten, Malmö, at 21.00, Free entrance ! 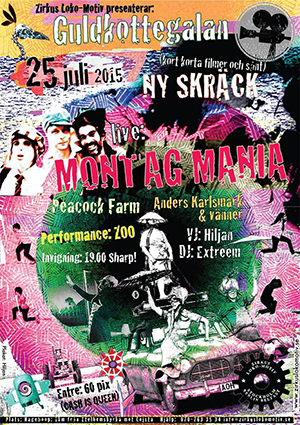 Montag Mania på Årets fest på KKV Fabrik, Musik, Konst, Poesi,Performance, Film, Installationer, Industri, Poesi, VJ, Dj, Bar & Mat. Missa inte !!! Montag Mania på scen 22.00. Adress: Planiavägen 28-30 i Nacka, 10 min från Slussen. Entré: 100 kr (Stud 80 kr). Endast Cash. Montag Mania har fått äran att spela på Kafé de luxe lördag den 25 januari i Växjö under Kulturnatt de luxe. Kafé de luxe har nominerats till årets klubb på Manifestgalan och Montag Mania har tänkt att matcha detta med bomber och granater. Bandet går på scen kl 23.30. Dagen innan, 24 januari, kan man även se Montag Mania spela akustisk på Far i Hatten i Malmö. Så varför inte komma dit? Montag Mania is the opening act for the wonderful Danish band Folkeklubben at Vega in Copenhagen. The Danish upcoming folk-pop band Folkeklubben released their debutalbum Nye Tider in April 2013. 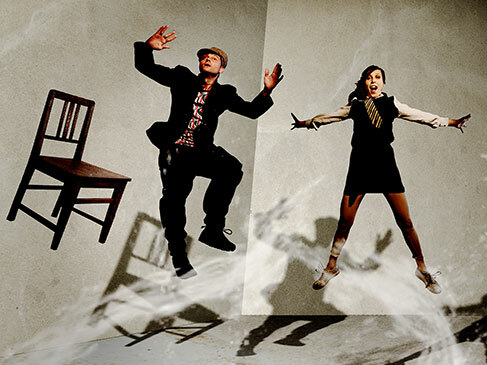 The album got great reviews and launched them into a major breakthrough on the Danish music scene. Montag Mania and Folkeklubben had the great opportunity to tour together on the SonordicA project in december 2012. Now you can see them again at Vega! Montag Mania did the last show with full band at Stockholms Kulturfestival the 13 of august. Now there is a last chance to see the band playing acoustic before they end the tropical birds summertour, to walk in at the studio, to begin to take the first steps into a different sound. Take the chance and come to Kärrbodafestivalen, see the half heart of Montag Mania among the cows, the trees and the forest. There will be a dj, food, bar, café and 6 other bands playing, all in a cowshed. The rockbus picks you up at Klarabergsviadukten. The last chance to get a ticket for the bus is the 23 of august. Montag Mania Tropical Birds Tour will come to Gotland and have a show at the filmfestival Guldkottegalan at Hageboop and at the very popular Hablingbo Crêperie och Variété. There will be films, music, performances and crazy days. Come and pass by to the wildest happening of the week. Montag Mania spelar på Sköna `Vintervikens´ Trädgård, tisdag den 23 juli. Signe Bäck spelar också samma kväll! Allt börjar ca kl 18.05. fika, picknick, mat, ekologiskt, blommor och bin som kontrast till den Tropicalistiska attacken....Välkomna ! 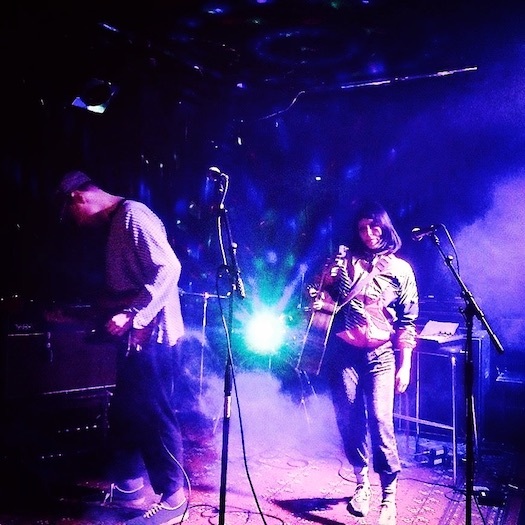 Thank you `Coco Transistor´ and all you people that joined us at Södra bar. Now we´re turning the Tropical Birds tour to Scenkonst Z `Festival Scensommar´. Theater, art, film, dance, performances and clubs. There will be Montag Mania, Name the pet, Elephant oak and Top Nice club and more.Come and join! 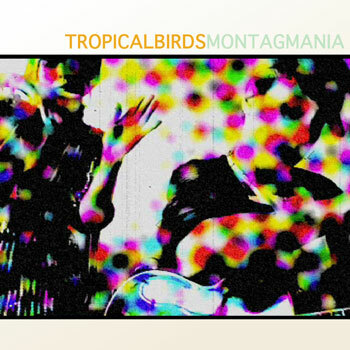 Montag Mania are out on Tropical Birds tour and soon again we are ready to jump out on stage to turn the wheels. Next stop will be at`Coco Transistor:s´ club at Södra bar 17 july. DJ: Sandra "CHOCO CANEL" Bergman turns the music on and plays jazz, beats, elektronisk swing, bossa nova, soul, brass and more until time stops. Montag Mania stayed 6 weeks at the Swedish studentradio toplist and went right into number 1. Now the band follows up the success with the double-A side single `City of the Satellites / Bohemia´ and a video release by Montag Manias vj Helene Berg. The single Into the Highlife is now number 1 on the main Swedish student radiochart! Check out the bands celebration, the videorelease of the song `Strange Flower´ from the their new album `Tropical Birds´. 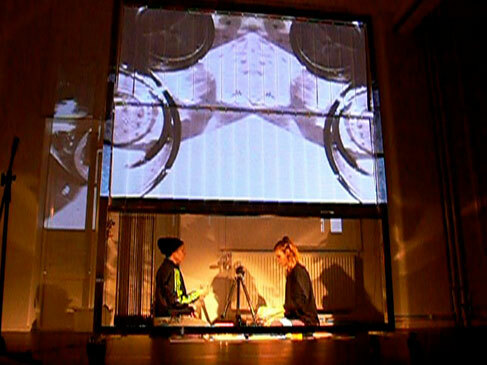 The video is a livemix from the visuals created for the bands shows made by the multiartist Helene Berg. Strange Flower is the first video of a serie of upcoming videos. Montag Mania went right in at number 3 on the main Swedish student radiochart. The single "Into The Highlife" is currently receiving a great amount of airplay on Swedish student radios. Now the band celebrates by making their first videorelease with the song `Strange Flower´ from the their new album `Tropical Birds´. The video is a livemix from the visuals created for the bands shows made by the multiartist Helene Berg. Strange Flower is the first video of a serie of upcoming videos. Don´t miss the half heart of Montag Mania doing an acoustic guest performance at Emika Klasdotter and Emma Nordenstams releaseshow at "Chimos vänkväll" on saturday! Everything begins at 17.00 and there will be 5 bands playing. The single `Into the Highlife´ is right now frequently rotating on many Swedish student radiostations and Montag Mania Tropical Birds got excellent reviews at the New York blog `Joy Of Violent Movement´. The blog has described 'Tropical Birds' as a warm and playful mix of indierock, dance music and tropicalia. Montag Mania Into the Highlife is now on the A list at Umeå studentradio 102,3 and it´s also frequently rotating on Pite FM - Studentradion 92,8 mHz mHz after being chosen as the single of the week. We are happy to announce that Into the Highlife was choosen to the single of the week at Pite FM last week. Download Montag Mania Tropical Birds at all the digital musicshops and buy the album online at Bengans or walk through the town right to Södermalm and buy the album directly from one of Stockholms legendary record stores PetSounds and Bengans or at Louie Louie, Fröken Anderssons Kaffebar. 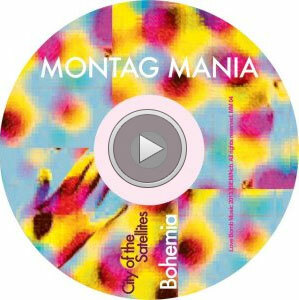 Montag Mania plays before Staffan Hellstrand at "Saga Biografen"
in Torshälla, 1st March. An acoustic indie explosion ! Montag Mania takes a spot in Claes Olson's Best Right Now list over at musikindustrin.se, check it out people! Come to Kägelbanan & Dance Dance Dance!!! To all you wonderful people who supported us. Thank you Folkeklubben, Esbjerg gymnasium, Huset, Atlas, Global, Klaverfabrikken and all you nice people who attended the shows. We´re happy to anounce that Montag Mania will be back on stage. Montag Mania will tour in Denmark the 5-8th of december. There will be four shows with full band together with the support of Helene Berg on visuals and performance. The tour is arranged by SonordicA, a project supporting up and coming scandinavian bands. The Sonordica tour will continue in Sweden in the beginning of 2013. SOM (Svenska oberoende musikproducenter)är med och anordnar en festival på södermalm nu på lördag den 18 augusti och Manifest Label Market är en marknad för oberoende musikbolag och artister som i år håller till På Pet Sounds Bar. Det kommer att vara en fullspäckad musikdag på Söder och en rad artister och DJ:s spelar under hela dagen. Montag Mania spelar på kvällen på Manifestscenen i källaren på Pet Sounds Bar och spelar musik från kommande albumet "Tropical Birds", en futuristisk, ambient, dansskiva med element av Highlife och tropicalia. På Scen: Fredrik Blank, Isabel De Lescano, Samuel Helles. 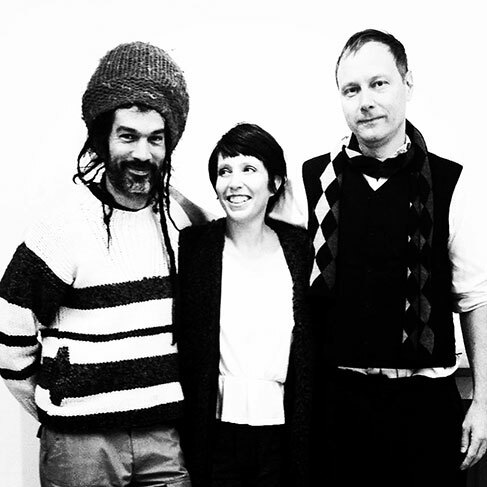 De banden som spelar på Manifest Label Market under kvällen är: Dubplate Connection, Edith Backlund, Christian & 2120's, Montag Mania, Materikaa. Montag Mania are happy to announce two new shows after some time in the studio. The two shows will be situated in Skåne, Sweden. We will play an acoustic show at Ängshyddan the 13th of juli and with full band the 4th of august at Musik Vid Immeln. Kom och smyglyssna på Montag Manias kommande skiva när Isabel & Fredrik finns på plats på Strand och spelar upp några låtar från "Tropical Birds". Titta efter Love Bomb Musics bord så finns vi där! Det blir indie marknad, show case spelningar och flera oberoende skivbolag som visar upp sin verksamhet! intervjuas på Finska Pinnar måndagen den 14 mars på P4, kl 18.37-19.00. Eftersom vi är i slutskedet av inspelningarna med Tropical Birds så kommer spelningar att komma lite strövis och lite här och lite där. Håll utkik på De Lescanos och Montag Manias facebook, myspace och hemsida efter spelningar, intervjuer, händelser, releasedatum mm, fram tills den kommande skivan släpps! Plats: Chimos vännkväll på bio/kafé Tellus, T-Midsommarkransen Adress:Vattenledningsvägen 46, Tid:18.00-22.00(Medlemskap i Klubb Tellus behövs för att komma in. För att bli medlem mejlar man bara namn och bostadsadress till chimo.andersson@bredband.net senast torsdag 18.00 före spelningen).